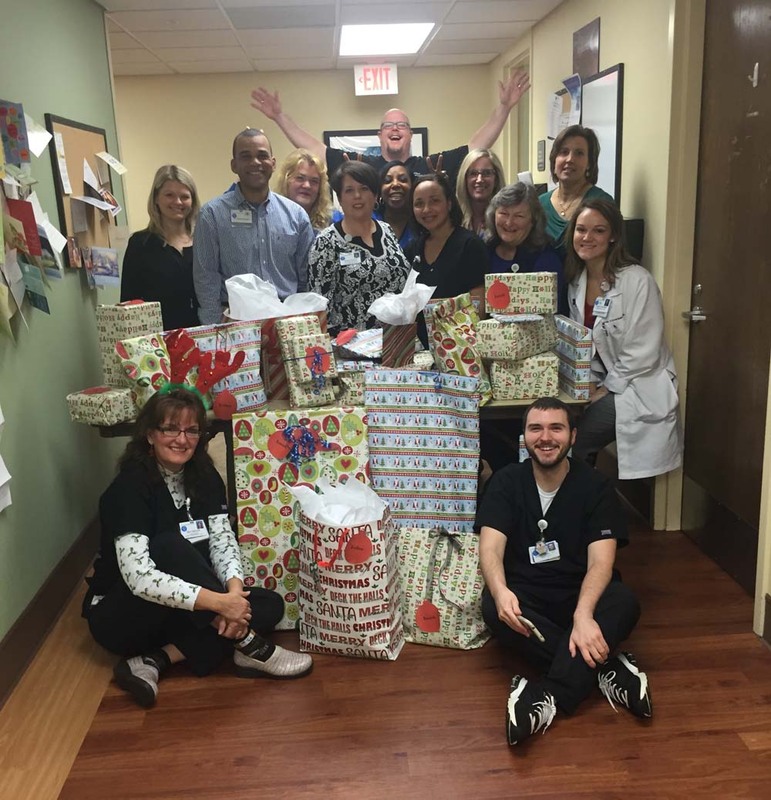 CaroMont Cancer Center staff provides Christmas for two patient’s families. CaroMont Cancer Center gathered for a celebration prior to Christmas to surprise two patients and their families with gifts and living resources. These patients had tremendous needs and one of them was homeless with the children and her living in a shelter. The gifts and money provided nee The gifts and money provided needed resources for the families prior to Christmas. The money was raised by the cancer center staff through direct donations. https://treatcancer.com/wp-content/uploads/2016/02/staff.jpg 1037 1000 Southeast Radiation Oncology Group, P.A. https://treatcancer.com/wp-content/uploads/2015/08/SERO-logo-PNG-450x174.png 2016-02-05 20:50:152016-02-08 20:52:25CaroMont Cancer Center staff provides Christmas for two patient's families.